Tokyo-Osaka Hokuriku Arch Pass user guide. Clarify valid trains, coverage area and compare single fare and pass. Posted on December 26, 2015 Categories Rail pass for visitorsTags Arch pass, Kobe, Kyoto, Nara, Osaka, Tokyo, Toyama, kanazawa331 Comments on Tokyo-Osaka Hokuriku Arch Pass user guide. Clarify valid trains, coverage area and compare single fare and pass. This brand new pass will be released in April, 2016. This pass covers Narita airport, Tokyo, Nagano, Toyama, Kanazawa, Kyoto, Nara, Osaka, Kobe and Kansai airport. It does not cover Tokyo – Osaka/Kyoto via Nagoya direct route by Shinkansen. It is valid for consecutive 7 days. Valid period is same as Japan Rail Pass (a.k.a. JR Pass) 7 days. Price is cheaper than JR Pass 7 days but coverage area is much smaller. Is this a good deal and worth using for Tokyo-Kanazawa-Kyoto-Osaka trip? In this post, I would like to show you the detail of this pass. And I show you some sample rate and compare the pass value and single fares. You may find this suits your plan or not. 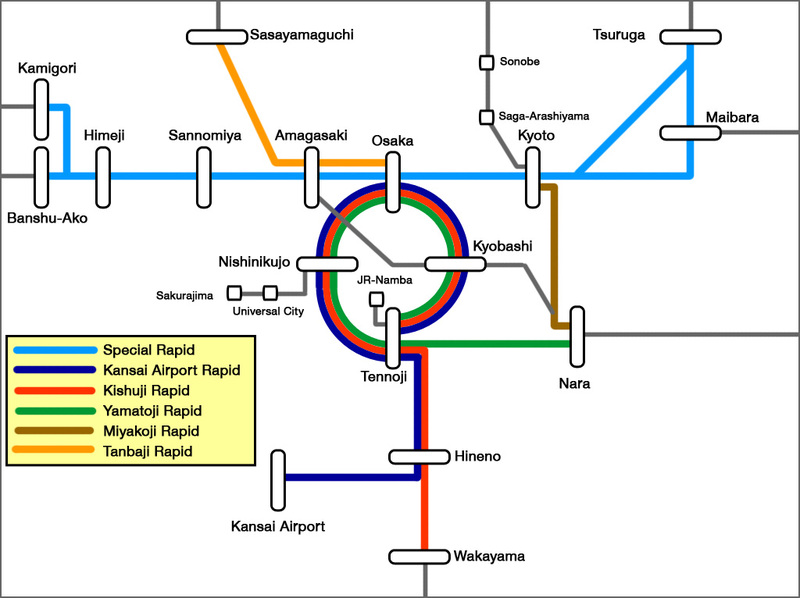 Continue reading Tokyo-Osaka Hokuriku Arch Pass user guide. Clarify valid trains, coverage area and compare single fare and pass. Posted on December 1, 2014 August 19, 2017 Categories Rail pass for visitorsTags Abenobashi, Ise, Kashikojima, Kintetsu, Kyoto, Nagoya, Namba, Nara, Tennoji, Toba, Tsuruhashi, Uehonmachi, Yoshino570 Comments on Kintetsu Rail Pass, Most affordable deal for Osaka/Kyoto-Nagoya and access to Ise. Kintetsu Railway will change the condition of Kintetsu Rail Pass and Kintetsu Rail Pass Wide in October 2016. These deals will not include limited express voucher any more. Please be careful when you purchase and use these deals. I have received many inquiries about Nagoya-Osaka or Kyoto trip. There are lots of travellers who arrive in Chubu (Nagoya) airport and depart from Kansai (Osaka) airport or reverse or arrive in/depart from Chubu. Even if you have round trip between Nagoya and Osaka, JR Pass is too expensive choice. And there is no options to cover both Nagoya and Osaka/Kyoto by JR. One way ticket from Nagoya to Osaka or Kyoto by Shinkansen is very common choice. However JR is not only railway that connect Nagoya, Osaka and Kyoto. Kintetsu Railway that is the biggest private railway company operates many trains among these three cities, Nara, Ise and Yoshino. Kintetsu Railway has very useful deal for the travellers who want to travel in this area. In this post, I would like to show you Kintetsu Rail Pass and Kintetsu Rail Pass Wide. Continue reading Kintetsu Rail Pass, Most affordable deal for Osaka/Kyoto-Nagoya and access to Ise. I have received inquiries about the trip to Kansai area many times. So I make a basic itinerary that includes Kansai area, such as Kyoto, Osaka, Kobe and Nara only. This is 7 days itinerary. But you can shorten or extend as you can. Kyoto station guide. How to transfer among Shinkansen, Kintetsu, Subway and JR local trains. Posted on August 13, 2014 July 25, 2015 Categories Osaka, Kyoto, Kobe and Nara, Station informationTags Hachijo, Karasuma, Kintetsu, Kyoto, Miyakoji Rapid, Nara, Sagano line, Special rapid48 Comments on Kyoto station guide. How to transfer among Shinkansen, Kintetsu, Subway and JR local trains. Kyoto is the biggest name in Japan. Most of you will visit Kyoto. JR Kyoto station is probably the first step to Kyoto for you. There are so many trains, such as Shinkansen, Limited Express Haruka from Kansai airport, Limited Express Thuderbird to Kanazawa, commute trains to Osaka, Kobe and Nara, Kintetsu train, Kyoto city subway and many many more to depart and arrive in this station. Now I would like to explain about Kyoto station. I will show you how to transfer among many trains there. Continue reading Kyoto station guide. How to transfer among Shinkansen, Kintetsu, Subway and JR local trains. Yamatoji Rapid Service is the fastest local train that is operated between Osaka (=大阪) and Nara (=奈良). Most of local tourists take Kintetsu line (近鉄) to Nara. Because they have many more trains and very frequent. If you travel in Japan without Japan Rail Pass, you may use Kintetsu line. But most of travellers from foreign countries use Japan Rail Pass. So this Rapid Service is your best choice, because you don’t need to pay any extra by Japan Rail Pass. This line used to be very local and inconvenient. But JR West upgrade the trains and operate many Rapid trains. It is very convenient and frequent departure these days.